Maintain BUY, Target Price still at USD0.92, 20% upside with 8.1% FY19F yield. Manulife US REIT delivered another solid set of quarterly numbers, backed by contributions from acquired assets and organic growth. Portfolio occupancy rate improved in four of its properties, with double-digit rental reversions recorded in 3Q. Outlook of the US office market remains rosy, on strong jobs creation and limited micro-market supply. While there has been some concerns on potential tax reforms impacting its tax-efficient structure, we believe the probability of any drastic changes is low. 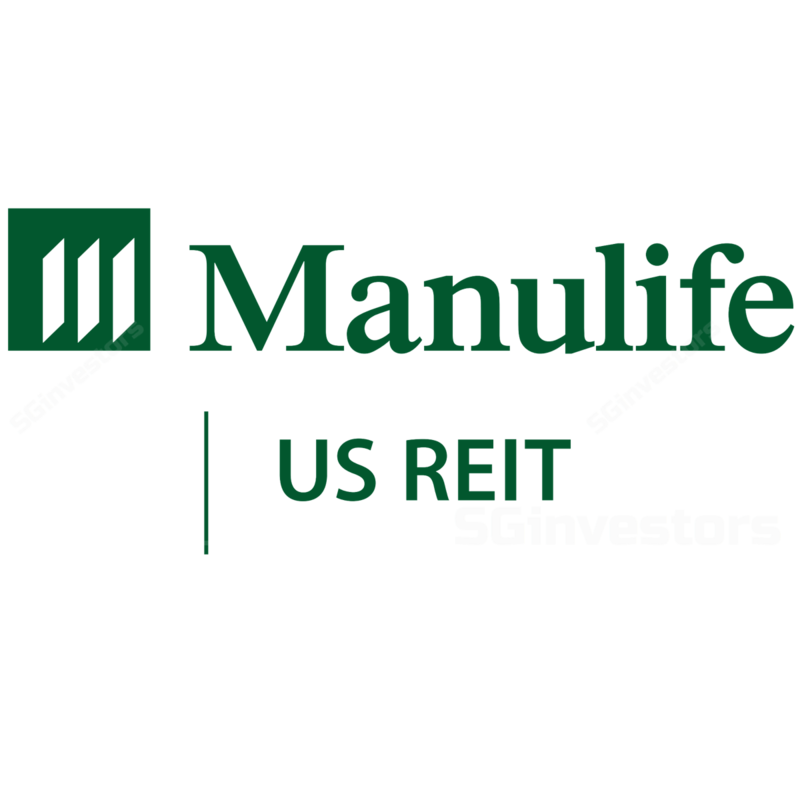 Manulife US REIT is one of our top sector picks. Manulife US REIT’s portfolio occupancy rate rose 0.5ppt q-o-q to 96.5%, backed by improvements in Figueroa, Michelson, Peachtree and Phipps. This was partially offset by a slight drop in Exchange’s occupancy rate. More importantly, renewed leases registered a strong positive rental reversion of 13.5%, indicating continued strength in the US office market and its asset quality. Note that the rental reversions are on top of inbuilt annual rental rate escalations. Overall, the outlook for the US office sector remains positive, underpinned by strong jobs creation (569,000 in 3Q18), wage growth and limited micro-market supply across its property locations. We expect leasing momentum to remain positive in the coming quarters. Some right-sizing of space by law firms. Portfolio lease expiry (as % of gross rental income) for 2019 rose to 10%, vs 7.9% in 2Q18. Management noted that the increase was due to mutual agreements to right-size some of space occupied by law firms across its buildings. Manulife US REIT has also received some compensation for the spaces that will be vacated. With continued strength in the office market, we see the move as a win-win – as Manulife US REIT can potentially fetch higher market rental rates for smaller spaces. Speculation surrounding tax changes seems overdone. Recently there has been speculation on potential tax reforms by the Trump administration which may impact the current tax-efficient structure used by Manulife US REIT. It surrounds changes to the US portfolio interest exemption rule, which shields withholding tax on interest and principal on shareholder’s loan. While we have no clear visibility on this, the probability of any drastic change is low as the existing structure is used by a large number of private funds and will have a broader impact on foreign investments in the US. Even if implemented, we believe management is proactively evaluating counter-measures, ie increasing depreciation charges or changing the tax domicile entity, to limit the impact. The worst-case impact is likely to be a 88% drop in distributable income. Asset enhancement initiative (AEI) progress. AEI works at Figueroa and Exchange are progressing well, and are on track for completion in 2019. Manulife US REIT currently offers FY18-19F yields of 8.8%/8.8% which we deem as highly attractive. In comparison, US-listed office REITs and office S-REITs offer average yields of 8.8%/8.8%. Our DDM-based Target Price is based on CoE of 8.8% and a 8% terminal growth rate. Key risks to our call are changes to its tax-efficient structure, ability to retain key tenants and an unexpected slowdown in office space demand. Manulife US REIT’s gearing stands at 88.8%, with 888% of borrowings hedged. Overall borrowing cost currently stands at 8.88%. About USD108.5m of borrowings is due for renewal in Jul 2019, which should increase overall borrowing costs by 20-30bps. The impact, however, should be mitigated by organic rental growth and acquisition contributions. YTD 9M18 adjusted DPU (accounting for preferential offering and rights issue) increased by 2.5% y-o-y to 4.5 US cents. The results are in line, accounting for 26% and 77% of our full-year forecasts. 3Q18 gross revenue and NPI rose 75% y-o-y, mainly on the back of contributions from acquired assets. Its NPI margin was stable, at 62.3%.